Sunset Lighting Contemporary bath vanity lamp features opal glass shade for elegance and accommodates three 60-Watt incandescent bulb lamps. It measures 20-1/2-Inch x 8-3/4-Inch. 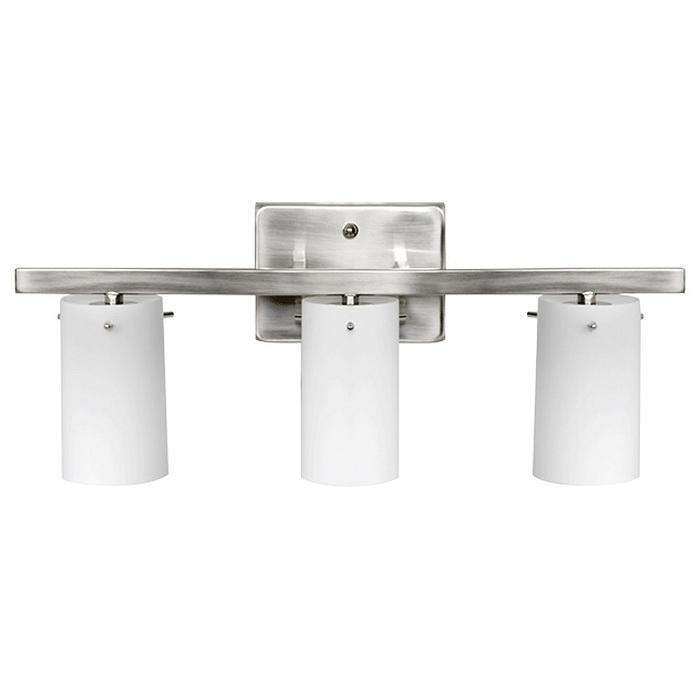 Wall mountable bright satin nickel finished bath vanity lamp has medium base socket. It has voltage rating of 120-Volts. Bath vanity lamp has 5-1/8-Inch extension from wall. Bath vanity lamp is UL/cUL certified.